The Techiest Farm Around The Boys From Agfinity! 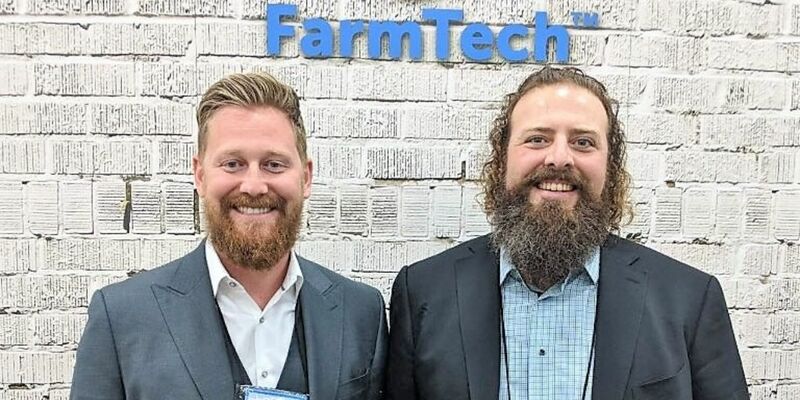 - Agfinity Inc.
Well the annual Farm Tech Conference in Edmonton, Alberta recently concluded and the guys from Agfinity were there! Jared and Joe met with many farmers over the 3 day event, and not only that, they threw a great party for some select guests at Atlas Steak and Fish in downtown Edmonton! Farm Tech happens every year bringing in farmers, buyers, sellers, brokers, and corporations together for 3 days of events including trade shows, dinners, and keynote speakers, which included the former Prime Minister of Canada Stephen Harper, who Jared Seitz actually got to meet! Jared and Joseph love connecting with the men and women that have dedicated their life to growing crop after crop, if you had a chance to meet them this year you will now know what we know, they are great guys that always are willing to take the time to have a conversation with farmers. Agfinity located in Stony Plain, Alberta is a grain broker that you can trust, Joseph Billett and Jared Seitz are transparent, trustworthy and honorable, and if you follow them on Facebook you also know these two sure can even be hilarious at times! Give them a call today and see how they can serve you in your grain selling or buying needs! ALSO stay tuned because very soon ANOTHER video of Jared and Joe is coming out, all about their experiences at this years Farm Tech, and you will not be disappointed!